Amal is one of this year's nominations for Canada's Genie Awards in best direction (Richie Mehta), adapted screenplay (Richie Mehta, Shaun Mehta), best actor (Rupinder Nagra) and best picture. 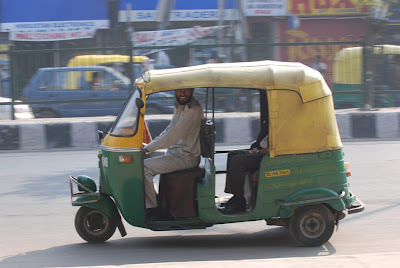 "Autorickshaw driver Amal is content with the small but vital role he serves - driving customers around New Delhi as quickly and safely as possible. But his sense of duty is tested by an eccentric, aging billionaire, who, moved by Amal's humility, bequeaths him his entire estate before passing away." The Genie Awards take place on April 4th. I really loved this movie. I wasn't sure what to expect of it, but it was sweet, heartwarming and a great reminder to cherish what is truly important - the people you love in your life and to keep an optimistic attitude. I felt it was similiar to Slumdog but less B(H)ollywood and was also filmed a lot in Toronto Canada.